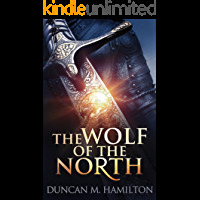 #1 Bestseller in Epic FantasyTop 100 Bestseller on the Amazon Kindle StoreThe First Part of the Wolf of the North trilogy by Amazon Bestselling Author Duncan M. Hamilton. It has been generations since the Northlands have seen a hero worthy of the title. Many have made the claim, but few have lived to defend it. Timid, weak, and bullied, Wulfric is as unlikely a candidate as there could be.A chance encounter with an ancient and mysterious object awakens a latent gift, and Wulfric's life changes course. 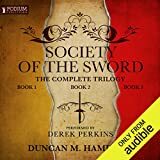 Against a backdrop of war, tragedy, and an enemy whose hatred for him knows no bounds, Wulfric will be forged from a young boy, into the Wolf of the North. This is his tale.